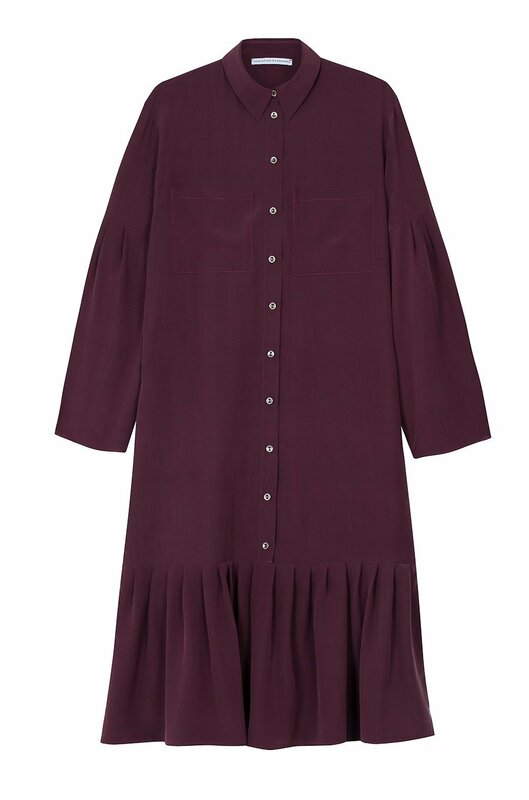 This piece is cut in an oversized silhouette and has a playful ruffle trimmed hem. It has oversized pleated sleeves. It is an essential piece for the season. Wear it from day to night.